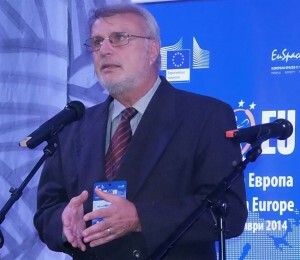 Media expert, professor on television drama and television programming in NATFA; professor on management and broadcast media regulation in NBU. He has a solid professional realization in cinema and film production in Bulgaria. Program director of Bulgarian National Television; director of Europe Television; general manager of BBT Television. Secretary to Council of Electronic Media. Professional specialization in BBC UK, France, USA. 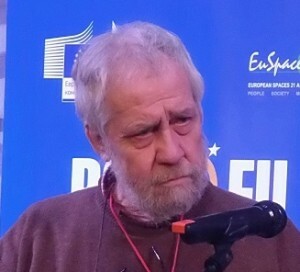 Member of Bulgarian Film Union and Bulgarian Film academy. Member of the Jury of different film festivals in Bulgaria and abroad. Author of series of publications and books. Script writer of documentary and fiction films, writer, interpreter, translator. His oeuvres are awarded on festivals and competitions around the world. Works with the best Bulgarian film directors. Author of numerous novels. Short filmography: War Correspondent / Военен кореспондент (2008); The Ships are full / Корабите са пълни (2005); Patou / Пату (2005); How Europe entered Bulgaria / Как Европа влезе в България (2002). 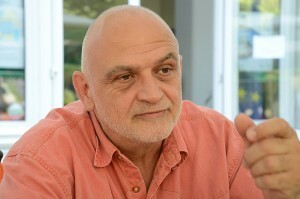 Founder and director of The BULGARIAN EUROPE FESTIVAL. Founder and director of Arena Media Rousse. Radio business manager from the first private radio stations in Bulgaria. Develop non-commercial television projects. Founder and manager of projects for culture, art, communications, access to information, civil society. Awarded with Rousse Award 2013 for complete contribution to arts and culture development.